All parts are either NOS (New Old Stock) or new replacement unless otherwise specified. Kaiser-Willys Auto Supply LLC is not responsible for typographical errors. Manufacturers part numbers are used for reference purposes only. “Jeep” is a registered trademark of the Daimler-Chrysler Corporation, and Kaiser-Willys Auto Supply LLC is not affiliated. I am looking for a good block or complete assembly F134. I have a 1962 CJ5 with T90 transmission and the engine block is cracked. I have a 1969 Jeepster C101 and i’m looking for information on the mounting brackets for the driver and passanger seats, the last owner mounted the wrong seats in the jeepster and put BIG holes in the floor of the tub. Any info pictures, lead on where to find parts would be helpful. I am trying to locat the lower part of the tail gate. I am wondering if you can help locate the lower tail gate for my 1959 willy wagon. If its white smoke then it may be radiator fluid. 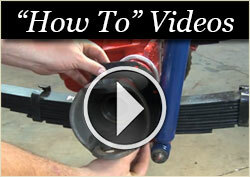 Black/blue smoke is oil… Have you tried replacing head gasket? Give the guys at the parts counter a call toll free 1-888-648-4923 Mon-Fri 9AM-5PM EST and they will be happy to help! Have a great day! I have a 1960 Willys CJ5 and its smoking ( white smoke) bad. Compression is good but after draining oil noticed quite a bit of gas in it? Got a radiator fixed and a new Pcv valve new thermostat will try to flush engine and hope for the best. Its been my fault for not running it at least once a month. I guess if still smokes then it must be piston ring?? Any advice out there?? Can you supply the surrey gala roof support bars. Hi Pierre, all of our canvas tops are made custom for each Willys Jeep. 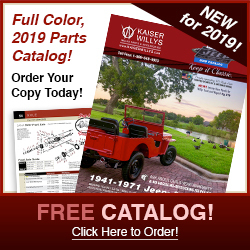 Contact mike@kaiserwillys.com or call toll free 1-888-648-4923 and the guys at the parts counter will be happy to help with your top! Have a great day! Canvas for early CJ2a 1945 with 2 straight bar for the roof. I am looking for plan to DIY Canvas 1/2 top no military style. Part# 640800 – Steel Civilian Wheel Rim 16″ will fit your 1958 Willys Truck. You can possibly use tubeless tires but it ultimately depends on the type of tire you put on it. We always recommend tubes however for this style of rim. Email mike@kaiserwillys.com and he will be happy to help you with this! Have a great day! im looking for a 1962 Willys truck bed. I just picked up a 46 cj2a and it has a military artic top on it. All aluminum and is in decent shape. Email me if interested. Vincebell@myfairpoint.net it’s in northern maine, I’ll delivery in most of new England for 1.00 a mile. Here is a link to the center and lower chrome horizontal Grille bar. If you need a different one give Mike a call toll free at 1-888-648-4923 Mon-Fri 9AM-5PM EST and he will be happy to help you with this! Have a great day! 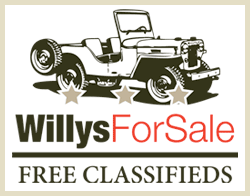 I am looking for one front grill chrome for a 1957 Willys Utility Wagon 4WD 2DR. I have 2 already just missing the third one. Do you carry that part or know where to look? Hi Peter, give Mike a call at 1-888-648-4923 toll free Mon-Fri 9-5 and he will be happy to help you find one or point you in the right direction. Have a great day! Looking for a 1951 Willy’s Overland Carburetor Air Horn with the 4-134 F Head Motor (473). I have searched from Montana to Texas…….any suggestions???? Hi Jay, Give Mike a call Toll Free: 1-888-648-4923 Mon-Fri 9AM-5PM EST and he will be more than happy to answer any of your questions. Have a great day! I am looking for the rubber bumpers for the glove box door on my 67 CJ5. I also am wondering what went into the holes that seem predrilled in the upper corners of the windshield frame. I believe there are 3 on each side? Small holes so it looks as though a bolt would have gone through them. Hi Erkan, Please give Mike at Kaiser Willys a call Toll Free: 1-888-648-4923 Mon-Fri 9am-5pm EST. He will be happy to answer any questions you have about parts that you may need! 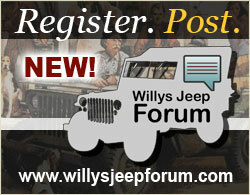 Do have spare parts for willys jeep turkey 67100 ? I have a 1964 panel delivery (looks like the wagoneer but no rear side windows. I have become disabled and can no longer do the work necessary to bring her back if anyone is interested she is for sale she needs a new ring gear for the flywheel and a carb she runs good and doesn’t use a lot of oil. email me and I will send picks montieclay@yahoo.com or call 928-200-9491. Give Mike Meditz a call at Toll Free 1 (888)648-4923 Mon-Fri. 9-5 EST. He may be able to find you a good used spare tire mount. Have a great week! Do you supply the surrey gala roof support bars or suggest a company who may be able to help? I am looking for a 1961 and a 1965 CJ5 Jeep complete Tub. Both Jeeps have gas tank under the seat. So I need a side filling hole.